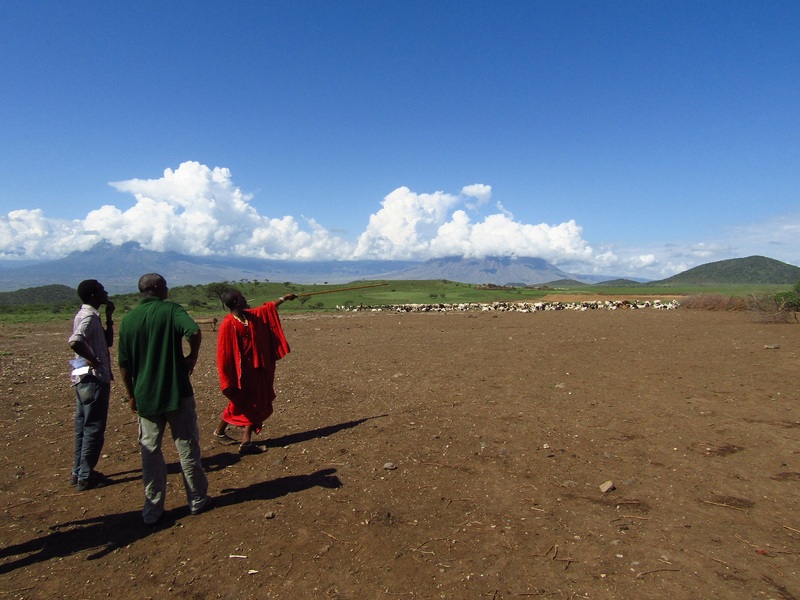 Maasai pastoralists in northern Tanzania rely on ancient know-how about cattle herding. But regional droughts and diseases affect the herd and cause food insecurity among the tribes. The five-year Maisha Bora – ‘Good life’ in Swahili – programme brings together 15 organizations with expertise in water engineering, microfinance, animal health and nutrition to improve the food security and pastoral livelihoods of these Maasai communities. 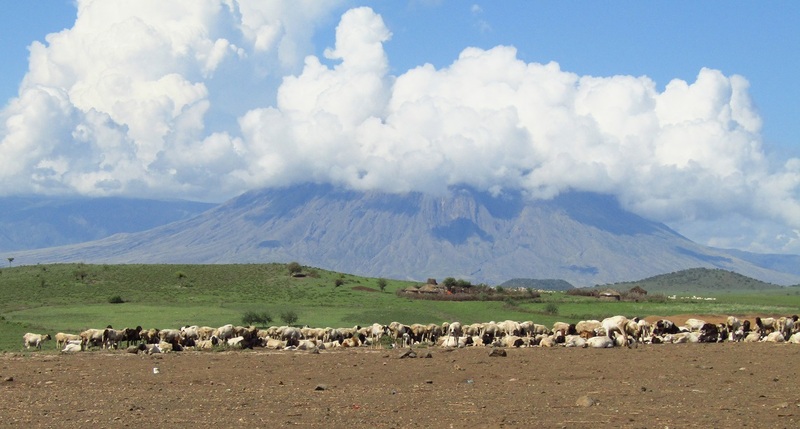 The vast plains of Simanjiro and Longido districts in Northern Tanzania are home to pastoral and agro-pastoral communities, which mainly depend on livestock for their livelihoods. Pressure on land and available natural resources, climate change and lack of alternatives for generating income, have severely worsened the food shortages of these communities over the past few decades. The Maisha Bora programme aims to improve the food security of these (semi-) pastoral communities in 15 villages. As each development programme, Maisha Bora started in 2015 with the creation of a baseline. A baseline is an analysis of the situation that is taken as a point of reference to monitor, measure and evaluate the results of the programme. The survey to determine this important baseline was conducted with digital tools and the further monitoring and evaluation (M&E) will also be done digitally. Coached by data experts and equipped with tablets and GPS-devices, local enumerators took charge of the data collection. A first time experience for them. The Maisha Bora programme involves five international partners, which are all responsible for the implementation of a specific component together with their local partners. Within such a unique approach different organizations all work together on one common programme objective: improving food security of households in 15 targeted villages. Yet, different organizations bring along different approaches, reporting formats, monitoring and evaluation systems, indicators, etc. Enabel therefore ensures that the efforts of all partners are harmonized and directed towards the common programme objective. The same applies to the baseline study of the programme. Enabel teamed up with a service provider, Savannas Forever Tanzania (SFTZ), to design a common household survey incorporating impact indicators for all different components. The survey consisted of a questionnaire and anthropometric measurements to yield both quantitative and qualitative information on the food security and nutrition status of the beneficiaries, as well as on socio-economic data about their revenues, livestock assets and their access to water. Mathias Lardinois, programme coordinator of Maisha Bora, explains: "We decided to carry out one common household survey for our programme baseline. All partners worked together to integrate all their indicators and to make sure that there was no overlap. These efforts lead to a more efficient data collection, so our beneficiaries didn't have to go through five separate surveys." Traditional Maasai lifestyle centres around their cattle. The 15 Maisha Bora programme villages are spread over a vast area in the districts of Simanjiro and Longido. The Maasai communities living in these scarcely populated plains of Northern Tanzania are mainly (agro-)pastoralists, who seasonally move around in search for green pastures for their livestock. Household dwellings (locally referred to as "bomas") are often located miles apart. By organizing one common household survey for the programme, the Maisha Bora partners made sure that the resources for the baseline survey were efficiently used and logistics were carefully organized. The team of Savannas Forever Tanzania (SFTZ) was up for the task. 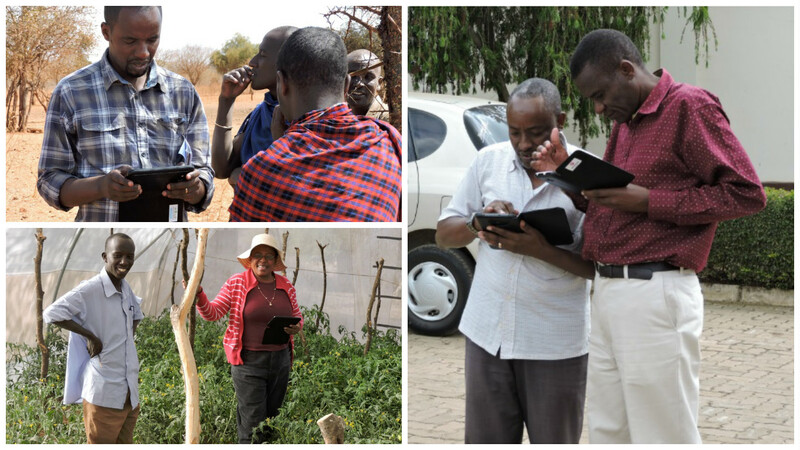 In three weeks' time the enumerators interviewed more than 920 households in 15 villages. David Mollel, teamleader of Savannas Forever Tanzania: “The area in Longido and Simanjiro is rough. Due to the heavy rains some bridges were damaged and roads were literally washed away. Some of the villages could not be reached by car, so we had to walk for several hours. Besides, sometimes the Maasai men were still herding their cattle out of the village in the dry-season grazing lands. Others had moved to town temporarily. You know, Maasai are mobile, but so are we. In the end we reached all the bomas and interviewed more than 900 households”. Maasai are mobile, but so are we. The household questionnaires of the baseline were entered into a software program and enumerators were sent out to the field with GPS-devices and pre-programmed tablets. The software programmers of SFTZ downloaded the digital questionnaires to a set of tablets. All questions were linked together in such a way that irrelevant questions were skipped automatically. After the interview, the enumerators could directly upload all the completed surveys to a server, so the data experts of SFTZ could start with data cleaning and analysis on the spot. By linking the household surveys to GPS-coordinates, a data layer was added to easily map out geographical differences. Digital questionnaires were an obvious choice for Jovit Felix, programmer of SFTZ: "We abandoned pens and paper questionnaires many years ago. Digital tools create added value. They make data collection much more efficient and enumerators can minimize the time they spend on each interview. We are much more in control of data quality during data collection and we avoid encoding errors." Map of the Maisha Bora programme area. The green and blue dots indicate the location of the households interviewed during the baseline survey. Enabel and SFTZ made sure that the local programme partners played a major role in the baseline study so they would gain ownership of the programme from the early start. Having followed a 4-day training on interviewing-skills, anthropometric measurement techniques and survey software the local partners left to the villages to take charge of the data collection. I'm happy I learned working with a tablet. Using these tablets made it a lot easier for us. We could do the interviews much faster. The baseline study is just the start of the monitoring and the evaluation of the Maisha Bora programme. By analyzing the data and understanding the starting point of the programme, all partners will be able to evaluate how their activities contribute to improving food security in the programme area during the coming five years. They will actively use the baseline data to learn, to make informed decisions and to steer the programme accordingly. With this in mind, rich digital data bring another advantage to the programme. They allow for more precise analyses on different parameters. Programme partners will be able to map the data, use time-series of data and easily compare the results with other data sets. Altogether, this should lead to better decisions, better programmes and better results. Left above: Arnold, Livestock officer from Simanjiro District interviewing pastoralists on water infrastructure. Left below: Annascola from Arusha Regional Commissioners Office monitoring a school garden project. Right: Local government officers practicing the use of tablets for taking GPS locations during one of the workshops at our programme office in Arusha. Financed through the Belgian Fund for Food Security (BFFS), the Maisha Bora programme brings together five international and ten local development organizations to work on higher and more secured income used for nutrition and improved local availability of food for the most vulnerable and most impoverished households in the area. The five international partners are: Enabel, Vétérinaires Sans Frontières Belgium, Iles De Paix, TRIAS and the World Food Programme. The ten local partners are: Heifer, UCRT, OIKOS, LCDO, PWC, MWEDO, MVIWATA-Arusha, TCCIA Arusha, TCCIA Manyara, and Childreach Tanzania. Enabel coordinates the programme. In doing so, Enabel stimulates synergies and cooperation among the different partners and monitors and evaluates the impact of the programme.